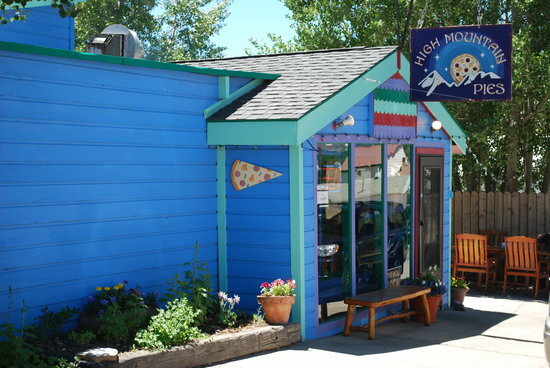 The quintessential Leadville dining experience, High Mountain Pies offers some of the tastiest pizzas you can find this side of the Continental Divide. Full of wonderful personality, they offer indoor seating and a beautiful backyard patio with views of Elbert, Massive, and, if you're lucky, the neighborhood watchdogs who keep eye on the roof of the adjacent saloon. Directions: From the house, head down Harrison Ave. & hang a right down 4th. Street. High Mountain Pies is ahead on the left. Another spot that embodies the spirit of Leadville, this lovely cafe offers something for everyone & strives to use as many locally-sourced, organic products as possible. Directions from the House: Head down Harrison Ave & just keep going. Tennessee Pass is towards the end of the main drag on the left. 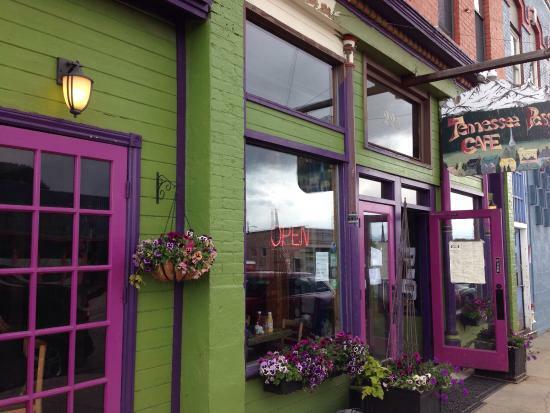 Welcome to Leadville's newest dining spot that's been getting rave reviews. The interior is beautiful, the views from the rooftop dining location are spectacular, and the food, albeit a bit on the pricier side, is fantastic. It's hard to beat a rooftop drink or dinner at the Treeline to cap off your Leadville experience. Directions from the house: Cross to the opposite side of Harrison & head south. Treeline will come up shortly on your right. Quincy's doesn't mess around. They have only a few options on the menu, and they do them well & offer them at an affordable price. Where else can you find a quality steak dinner for $9.95? Add that it's served on the historic Quincy block - built in 1879 - and you're definitely in for a treat. Directions from the house: Head down Harrison for a few blocks. 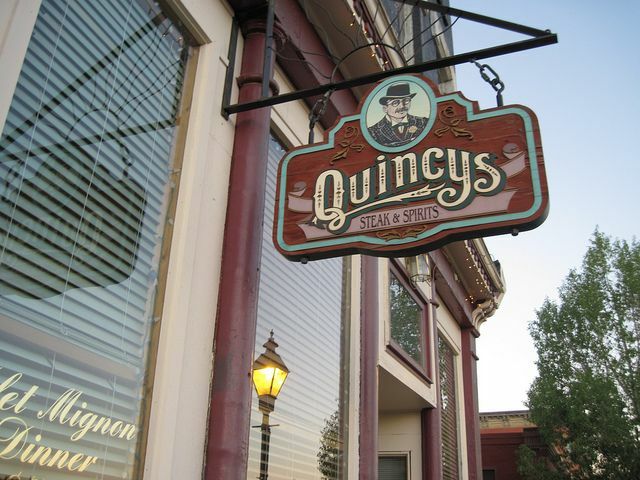 The entrance to Quincy's will be on your left. No trip to Leadville is complete with a stop or 10 to City on a Hill . Their pastries, sandwiches, & drinks are second to none in the high country of Colorado, and the vibe is perfect for hanging out, reading some fine literature, or rubbing elbows with other outdoor enthusiasts. Directions from the House: Head down Harrison Ave. for a few blocks. City on a Hill will be on your left. House Pick: The Father Dyer Blend & a Cherry White Chocolate Scone. The other coffee shop in Leadville achieves a more angsty feel, offering Lavazza Coffee & a collection of baked goods, along with a splendid Sunday brunch. Come back later in the day, step behind the curtain, and you'll find yourself transported to a 1920's speakeasy: Wilde's Green Hour. Named in honor of the Irish writer who visited Leadville in 1882, this memorable little spot is also known for serving up the green fairy of the 19th century - absinthe. Directions from the House: Head south on Harrison & cross over to the opposite side. The storefront is just past the Saloon. House Pick: A slice of the best cheesecake Leadville has to offer & a shot of absinthe. Just opened in the fall of 2015, Pb serves as Leadville's only craft brewery and offers up half a dozen beers on tap along with a modest selection of food. The main brewery is found just out our backyard at 115 E. 7th St., and they also have an oxygen bar south on Harrison.